Just getting into gardening? 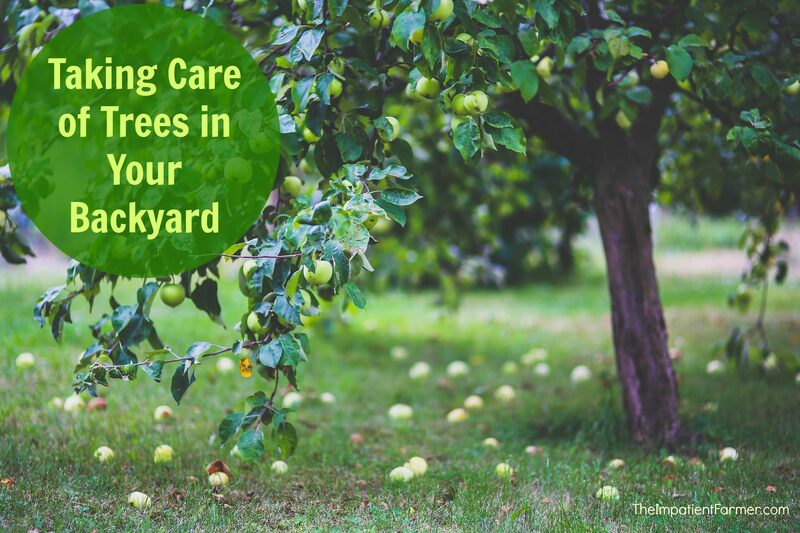 If you are planning on adding some greenery and shade to your yard in the form of new trees, it’s a good idea to familiarize yourself with tree care basics first. The first few years of care in a new tree’s life are vital and will have an impact on your tree’s health, shape, and growth in the future. A tree that receives good care in its first few years may even live longer than one which was cared for poorly. 1. Always dig a hole which will provide plenty of space. Usually, it should be about twice as wide as the rootball, but no deeper. The only exception is when you are trying to plant a tree in compacted soil or clay. 2. When you place your tree inside the hole you dug, you can lay a measuring stick across it to check the depth and size. 3. If there is a metal basket or plastic burlap around the root ball, get rid of it. You do not have to remove natural burlap. Do untie the rope which is securing it. Also, make sure no burlap is above ground. 4. When you fill in the hole, use the same soil you removed. Do not amend the backfill. Add some water when you are at the two-thirds full point, then add the rest. Make sure the tree is upright. Firm up the soil with your foot. 5. Add mulch when you’re done to discourage weeds but make sure you don’t overdo it. 6. Planting a barefoot seedling? Soak the roots in a bucket of water for up to a day. Dig a hole wide enough for the roots to spread out. Snip away broken roots or those that are extra-long. Backfill with the same soil. Keep your newly planted tree well watered. If there is a lack of rainfall during the first growing season for a new tree, water it every 7-10 days. Young trees should receive roughly 25 gallons of water each week, which is equivalent to 1.5 inches of rainfall. Use techniques that prevent runoff. For example, punch holes in the bottom of a five-gallon bucket and place it next to the base of your tree. Fill it up five times a week, and let it drain into the soil. For mature trees, research and find out exactly how much and how often to water your trees. There are different guidelines for different trees. Never let your trees succumb to drought. Mulching is one of the best natural methods for controlling the growth of grass and weeds. It can help you to keep the soil around your tree moist. Good choices for mulch include shredded bark and compost made from leaves. Avoid techniques like the “volcano.” In other words, do not pile mulch up around your tree trunk. If you do this, you can actually kill your tree. The roots can rot, you can mess up the pH of the soil, and you can also develop best problems. Instead, stick with the 3-3-3 rule. This means you should use around 3 inches of mulch and place it in a 3-foot ring around your tree trunk, leaving a 3-inch space. The resulting shape will resemble a donut. Trees are an important part of designing your overall landscape. They provide structure for the backyard, shade for our homes and gardens and shelter and food sources for wildlife. Before pruning any tree, make sure you sanitize your tools. This includes when you are moving from one tree to another. Cut away dead branches as well as those that have grown at angles that may be unhealthy to the tree. There are specific guidelines for different types of trees; do your research. You can do light pruning any time of the year. Winter pruning should be done after the worst of the cold has passed. For summer pruning, wait until the main growth season is over. Never prune in autumn; the risk of fungal infection is heightened during this season. Make sure you never cut away more than a quarter of your tree’s living crown during any one season. Familiarize yourself with the right way to cut. It is best to look at visual diagrams to get a feel for what you should and should not be doing. When a tree becomes diseased or begins to die, you may sometimes actually want to keep it. If it does not pose a falling hazard, is not a danger to other trees around it, and is serving some function (i.e. 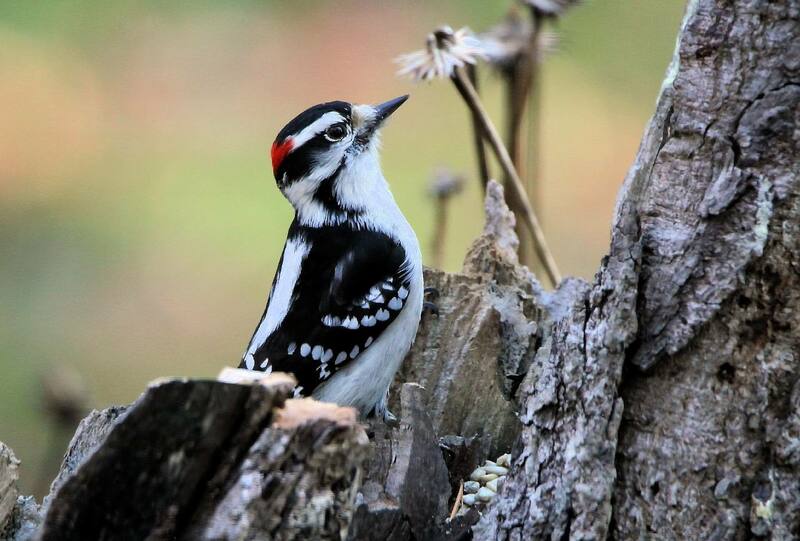 shade or home for woodpeckers), you may want to maintain it. Even older or dead trees can provide shelter and food for visiting birds. In other circumstances, however, you may want to remove it. Trees that are weak and prone to breakage pose a hazard to property, people, and animals. Those with shallow roots can cause lawn damage. Trees infested by disease or insects may pass on their infestations to neighboring trees. Trees that are 50% or more damaged usually should be removed. Check trunks for signs of damage like vertical cracks and seams. These may suggest the tree is decaying from within. This kind of damage may heal if the area is less than a quarter of the trunk’s circumference. Otherwise, it usually means the tree needs to be removed. Hollow trunks are okay up to a point unless they compromise structural integrity. Large dead branches need to be removed. If there are too many, the entire tree may have to go. One more consideration is whether removing the tree will help others around it to grow. If you do decide to cut down a tree, be forewarned that removing a tree stump is very tricky. Many people leave them in their yards for this reason. There are a few different manual techniques for removal and disposal. If you pay someone else to do it, it will cost you. 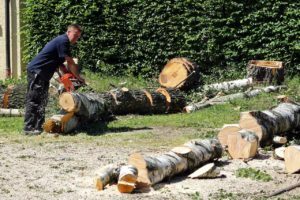 Of course, if you follow all the tips and tricks in this article for caring for your young trees, you can prevent many of the problems which would cause you to have to remove them when they get older. Take good care of them, and they should thrive over the decades to come! Join our newsletter and we'll keep you in the loop! Welcome to the Impatient Farmer where we enjoy growing just about everything outdoors. But one thing we don't like is to waste time. Like many folks who tend their outdoor spaces, time is important & we don't like to waste one minute. Here you will find all our favorite time-saving tricks, tools and techniques for doing the job quickly. 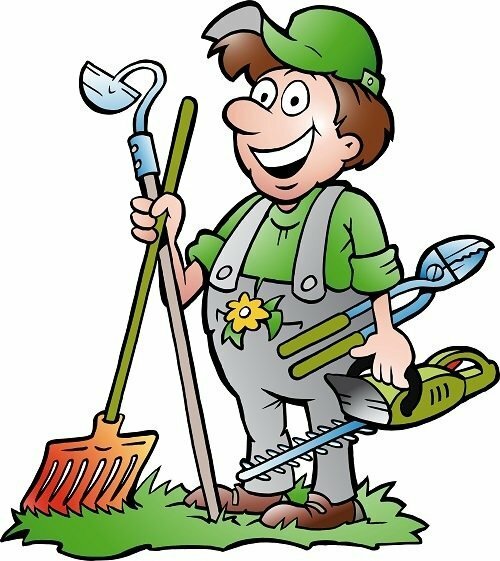 Whether you are a professional or backyard gardener we hope you find our site helpful. Join us! 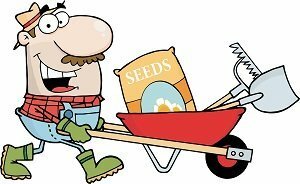 Starting a Vegetable Garden: Should you Choose Seeds or Starts?